We have experience in a wide range of disciplines and can provide you with the complete security solution, from design and installation to service and response. more.. The company was established in 2003 and we have built on our customer base through recommendations from existing clients. The engineers have over 20 years experience in all disciplines and have worked within the security industry from leaving school. 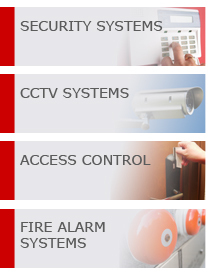 more..
All of our security systems are design to suit the clients specific needs and budget which is why we offer the free quotation service , so we can collate all the required information before making our quotation available. more.. The CCTV field is changing rapidly and some of the most exciting developments in technology have been made in this area from remote moitoring on your phone to automatic tracking and motion detection. more.. If you require a single audio door access or multiple users with proximity and video entry we have a wide range of equipment to suit budgets and environments. We can also provide biometric solutions if required. more.. If you have a system already installed or you require a new installation we have the ability to design, install and maintain your system ensuring that you have peace of mind 24/7. more..
To receive more information about ASP please complete our contact us form below. Alternatively call us now free on 0800 1959950. more..